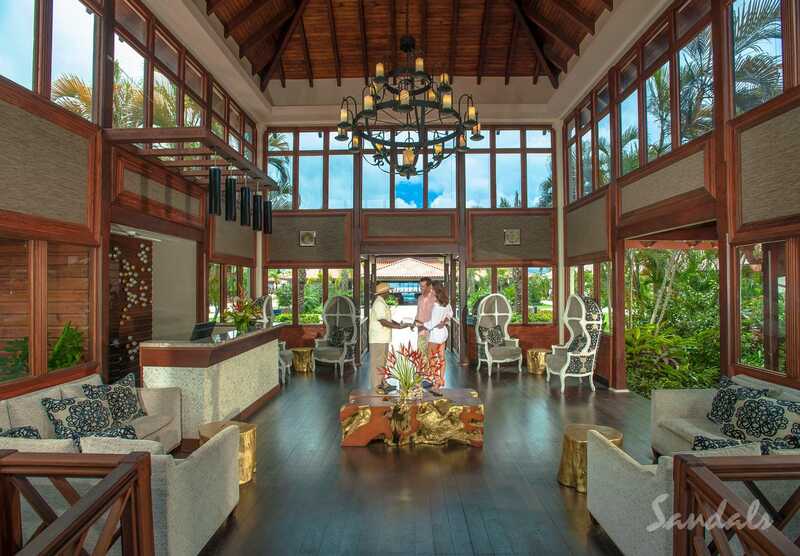 Sandals LaSource Grenada turns conventional design on its head — with stunning results. This adults only resort takes innovation beyond the realm of imagination to create an extraordinary island experience unlike any other. Just imagine: Pools in the sky — and living rooms in swimming pools! Want more? 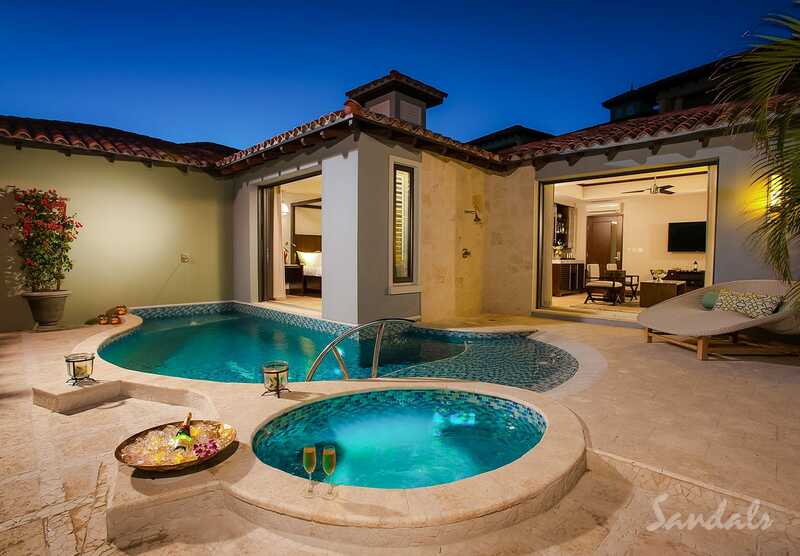 Enjoy private plunge pools, cascading waterfalls, and meandering river pools. 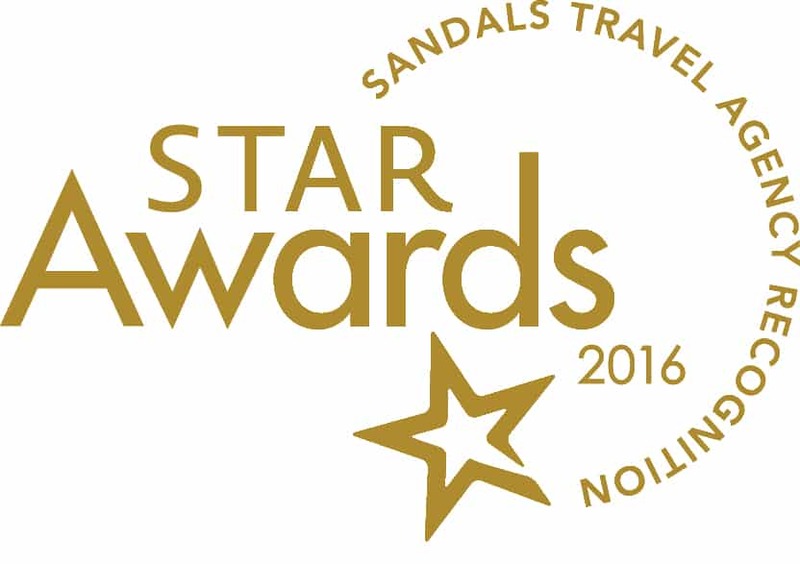 This is a Sandals resort experience you’ll never forget, in the heart of exotic St. George’s, Grenada. Located in the heart of Grenada’s exclusive Pink Gin Beach, Sandals LaSource Grenada boasts some of the most beautiful — and private — beaches in the world. The lush island jungles seem to melt away into the bluest water imaginable. And, oh, that sand! The fine white powder beckons you to sink your toes into it and just stay awhile. 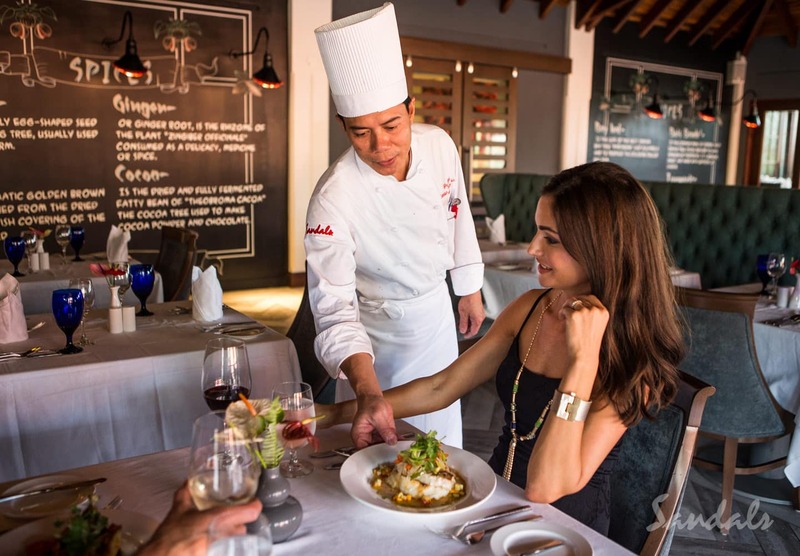 Known as “the island of spice,” Grenada offers up a true sensory experience for gourmands and adventure seekers. Slip away from the resort for an afternoon exploring the spice gardens and plantations where heady spices like nutmeg, cinnamon, ginger, and cloves are grown and harvested. If you’re looking to inject a dose of culture into your island getaway, fascinating Grenada is a great choice. 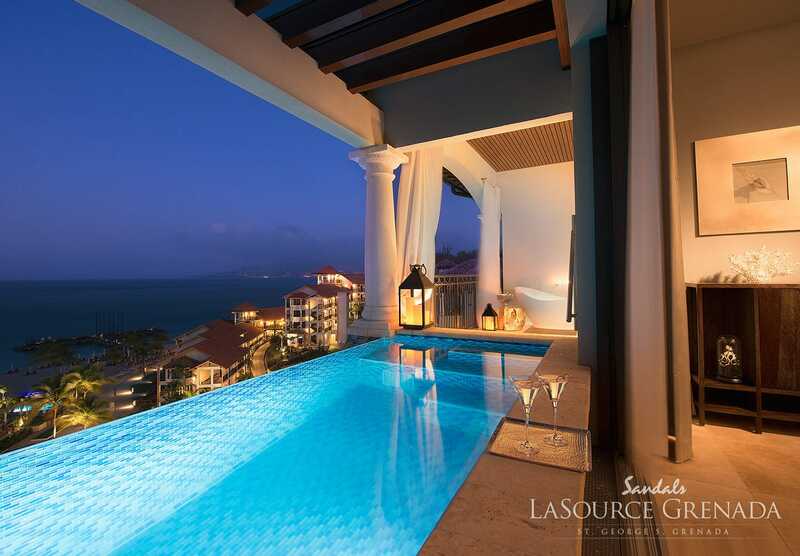 At Sandals LaSource Grenada, there’s a refreshing pool around every corner — and perhaps even your suite! 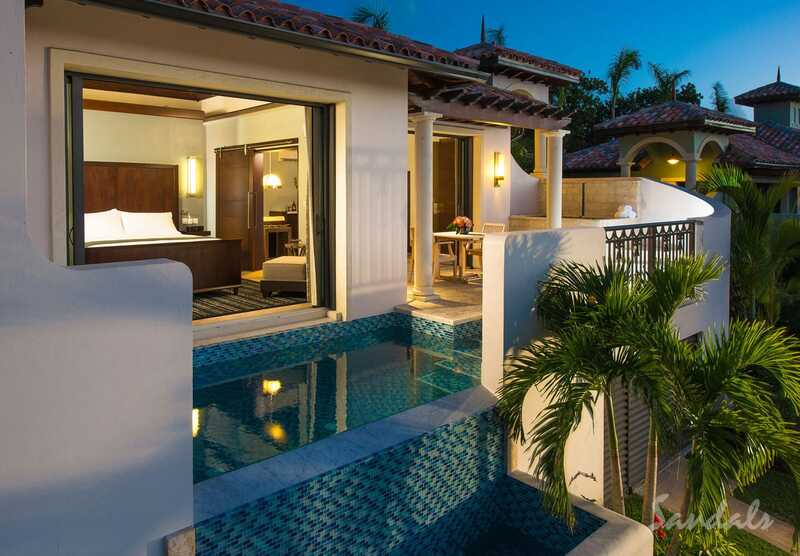 Take a dip and sip your drink next to one of Sandals’ signature swim up bars. In the evening, step into your very own tranquility soaking tub on your suite’s balcony. For more of a rush, take a swim in the striking river pools that meander through the property. 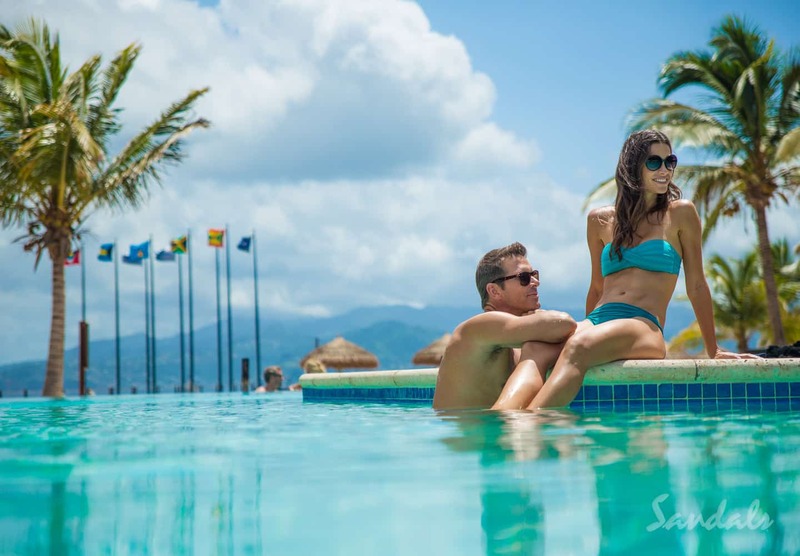 Sandals LaSource Grenada may feel like its worlds away … but this resort is actually fairly easy to get to. You don’t have to endure a full day of travel just to get to paradise! In fact, several major cities — including Atlanta — offer direct flight service to Grenada (depending on the season). Once you land in Grenada, you’ll enjoy a complimentary transfer to the resort. 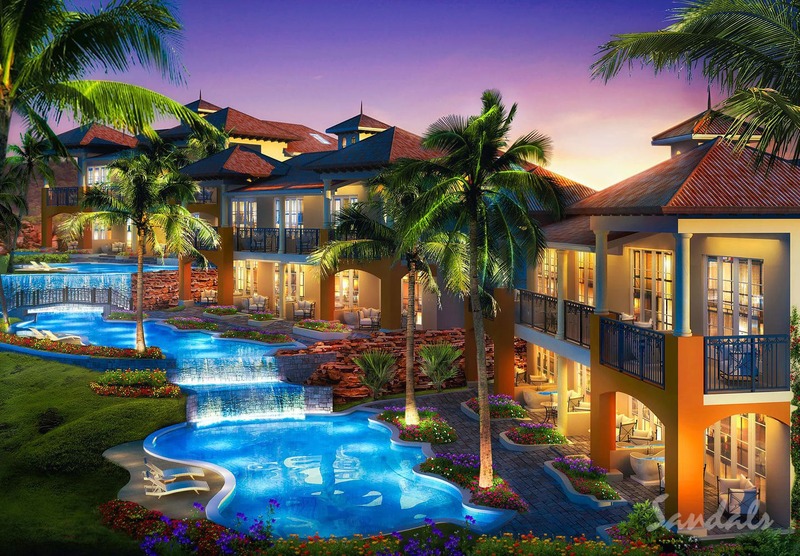 As one of the newer resorts in the Sandals collection, Sandals LaSource Grenada represents true innovation and a chic, modern take on island living. From infinity edge plunge pools to cascading waterfalls scattered throughout the property, this resort’s architectural touches will take your breath away. 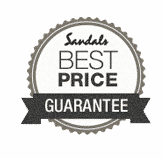 PS: Don’t forget to check our our Sandals vacation deals! 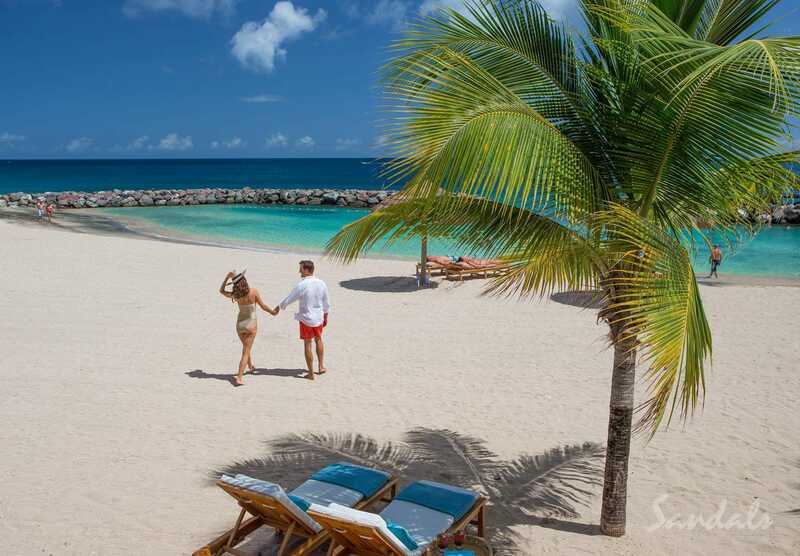 Ready to start planning your own memory-making romantic escape to Sandals LaSource Grenada? 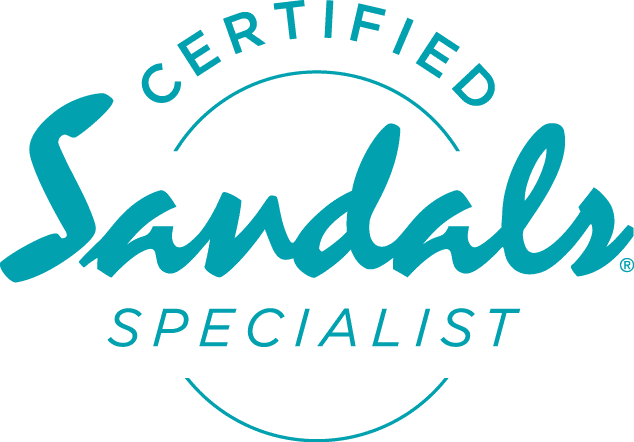 Our certified Sandals specialists at Southern Travel Agency Augusta in Georgia and online travel advisors can’t wait to help! Get in touch to start building your own dream vacation today!